Even highly successful stories aren’t immune to plot holes. In Star Wars, Leia realizes the Millennium Falcon is bugged but doesn’t do anything about it. In Harry Potter, the Ministry knows what spells are cast in Harry’s house but can’t locate him when he goes missing. And you all know that Lord of the Rings has problems with eagles. But some stories are so well crafted that they can slide a plot hole past audiences without anyone making a fuss. While some people recognize the inconsistency eventually,* the number is small enough that it doesn’t cause a problem. Let’s look at how those stories manage their sleight of hand. In the episode Our Mrs. Reynolds, the crew of Serenity find themselves in a pickle. Their ship has been sabotaged, and it’s heading straight for a scrapper’s net. They can’t change course, and if the ship hits the net, everyone dies. At the last second, they rig a system that lets Jayne shoot both the net and the scrappers, disabling one and killing the other. It’s a satisfying climax to a tense action scene. Even if the characters couldn’t have gotten their gun working, Serenity still had a working shuttle. They could have used the smaller craft to push their ship out of the net’s path, or even rammed the shuttle into the net. They had lots of time and plenty of options. Meanwhile, it seems like the scrappers just expected Serenity to come quietly. Our Mrs Reynolds depends on giving the audience enough satisfaction that most people aren’t looking for plot holes. To do this, the episode brings two important elements into play just before our heroes vanquish the scrappers. The first element is Vera, the gun* Jayne uses to destroy the net. Vera was heavily foreshadowed earlier in the episode as being the most powerful weapon on the ship, so seeing it used is very satisfying. The second element is Malcom getting his groove back. The episode makes a fool of him for nearly its entire run time, giving him a lot of spinach. When he starts issuing orders on how to get out of this predicament, it is the most delicious of candy. The episode is also clever enough not to dwell on the scrappers. The heroes are off in pursuit of another enemy before the audience wonders why hardened criminals didn’t install bullet-proof glass. The second Star Trek film is a direct sequel to the episode Space Seed, where the warlord Khan Noonien Singh is marooned on the planet Ceti Alpha V as punishment for his crimes. A few years later, the starship Reliant comes to check out Ceti Alpha VI for a science experiment. The captain and first officer beam down* but surprise, this is actually Ceti Alpha V, and Khan is pleased as punch to have guests. The genetically engineered villain goes on to explain that Ceti Alpha VI exploded, which shifted his planet’s orbit and destroyed its ecosystem. First of all, planets don’t explode. Stars sometimes do, but not planets. 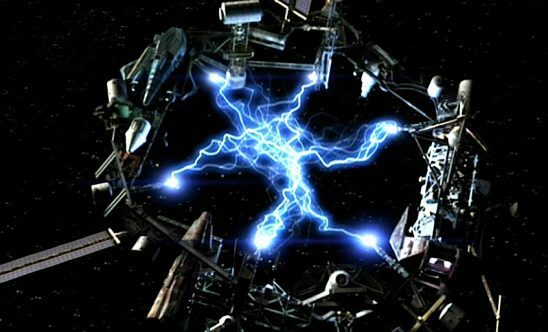 Whatever, Khan’s not an astronomer, so maybe he meant that Ceti Alpha VI was struck by an impactor so big it knocked the planet out of the system. That’s unlikely, but possible, and it’s also possible that in the gravitic shakeup, Ceti Alpha V could have ended up in the orbital path of its lost sibling. Problem solved, right? Wrong. Planets aren’t identical. Even if you moved Earth out to Mars’s orbit, no one in an advanced spacecraft would mistake our world for the red planet. The mass is wrong, plus there’re the different chemical compositions of the atmosphere. Even Earth and Venus, the two most alike planets in our solar system, are easy to tell apart because they rotate in opposite directions. The Reliant must have had some data on Ceti Alpha VI, or else they wouldn’t have picked it for an experiment site. They’d have noticed something was wrong on the first scan. But maybe, just maybe, Ceti Alphas V and VI were so identical that even Starfleet’s advanced sensors couldn’t tell them apart. It would still have been obvious, because when Reliant scanned the system to find their destination, they’d have noticed one planet was missing. Planets aren’t prone to go missing, so that should have raised a red flag. Wrath of Khan relies on the acting talents of Ricardo Montalban to distract the from its booboo. Most of the time, he portrays Khan as cool, smooth, and polite. When he’s explaining the planet switcheroo, he shouts “THIS is Ceti Alpha V!” It’s the first time Khan has shown open rage, and it grabs the viewer’s attention. They’re more concerned with the volatile and dangerous Khan than they are with some silliness over planets. From there, the planet confusion is never mentioned again. Because it’s not central to the plot, it’s easy for viewers to forget about how a trained Starfleet crew somehow didn’t notice that an entire planet was missing. Andy Weir’s debut novel opens with an exciting dust storm on Mars. The storm is so bad, it’s likely to destroy the Mars Ascent Vehicle (MAV). Without the MAV, there’s no way off the red planet, so the team of astronauts have to get out quick. This high-tension sequence is how protagonist Mark Watney gets stuck on Mars in the first place. In the evacuation, he’s struck by flying debris and left for dead. According to NASA, storms on Mars don’t work the way Weir portrays them, but that’s not the plot hole. 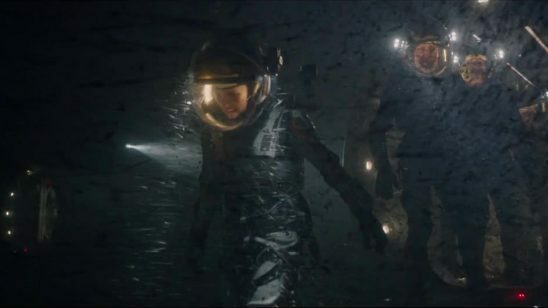 The plot hole only becomes apparent as Watney narrates the Mars mission steps. It turns out that NASA sent remote probes to the mission sites years in advance, so that by the time the astronauts get there, a base is already set up for them. One of the items sent ahead is the mission’s MAV, which sits for years on the Martian surface, slowly manufacturing fuel from the Martian surface. I bet you can spot the problem here. On a mission where dangerous storms are a known hazard, NASA leaves a critical vehicle exposed to the elements for years? What happens if one of those storms blows up while the astronauts are en route to Mars? Does NASA just scrap the whole mission, wasting billions of dollars? The only other option would be to send the astronauts anyway and pray the MAV worked. For an agency that obsessively checks every bit of hardware,* this seems unlikely. Weir describes the dust storm at the same time he describes a gruesome injury Watney receives before being left behind. While it’s clear the storm was important, the reader quickly loses focus on it because oh god there’s a piece of metal skewered through Watney’s leg and only his congealed blood is keeping the air inside his suit. That kind of visceral conflict will distract you from even the most blatant of weather-related plot goofs. Another tool in Weir’s kit is not explaining how the MAV is sent on ahead until later in the book. By then, the story has shifted gears to be more scientifically accurate. Weir explains that on Mars, a dust storm is mostly a problem because it puts more particulates in the air, hampering solar collectors. The atmosphere on Mars is just too thin for the winds themselves to cause damage. Once the audience knows this, it makes perfect sense that the MAV could sit for years undisturbed, and the inaccurate storm from earlier is mostly forgotten. Mami uses an arsenal of guns she fabricates from her own magic. Homura employs her time-slowing magic to steal real guns and turn them on her enemies. Kyoko has a spear. She’s very good with her spear, but you can see how it doesn’t quite fit with the other two. Mami and Homura have overwhelming firepower at their disposal, whereas Kyoko has a sharp piece of metal at the end of a long stick. To be completely fair, her spear can transform into a flail for added range, but that doesn’t seem like enough. Despite that, Kyoko is one of the big three in terms of skill and power. Homura even goes out of her way to ally with Kyoko for a major battle, believing that together they can triumph where she alone might fail. The plot hole widens even further when we see that Homura’s contribution to the fight is a literal artillery barrage, with bombs and bullets and rockets oh my. Kyoko is never shown doing anything that could ever compete. Even though Madoka features a lot of guns and explosion, emotion is its heart. It is a story of character arcs, some cut tragically short, and others followed to bittersweet endings. Characters rise and fall based on their states of mind and the contents of their hearts. One character falls to corruption, not because she’s bad at fighting, but because she’s given up on herself. Another character dies because she doesn’t take her fight seriously enough. Even though the show never outright says this, viewers are trained to associate the characters’ emotional state with their fighting prowess. Kyoko embodies confidence. She knows she’s a badass. So when Homura says Kyoko will be useful in the big battle, the audience agrees, even if she is only armed with a spear. The first season of Stranger Things is one of the greatest achievements in the history of television,* so it’s no surprise that the big bad is a force to be reckoned with. 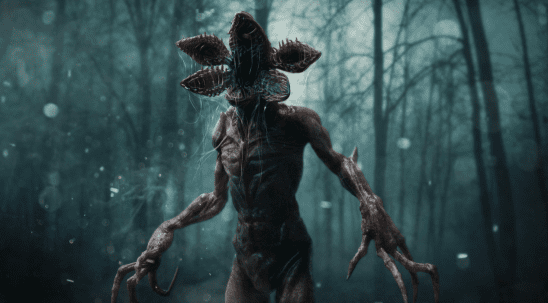 The Demogorgon is a terrifying monstrosity from another world, with ripping claws and a maw to give you nightmares. It’s also surprisingly vulnerable to attacks by teenagers. Let me explain. At least twice, the Demogorgon faces trained soldiers armed with automatic weapons. In these scenes, the creature appears nearly impervious to harm. Bullets bounce off its rubbery hide, accomplishing nothing but to anger it. However, at another point in the plot, a group of teenaged protagonists attack the Demogorgon with baseball bats, bear traps, and a small pistol. The teenagers don’t kill the Demogorgon, but they inflict a lot more damage on it than the soldiers with assault rifles. This is a classic case of a monster’s power level being scaled for convenience. The show’s plot won’t work if the Demogorgon is killed by soldiers, so it needs to be strong enough to beat them. But the plot also doesn’t work if the Demogorgon murders all the teenaged protagonists, so in that scene, it has to be weak enough for the heroes to hold their own. Unfortunately, this results in a monster that is somehow immune to bullets but vulnerable to baseball bats. In the first season, Stranger Things is very clever about how it portrays the Demogoron’s confrontations with armed soldiers. The vast majority of such battles happen off screen, with the audience only hearing some scattered gunshots and then panicked screams. Most of the confrontations we do see are ambushes, with the Demogorgon leaping out of hiding to rip and tear. In that context, it’s easy for viewers to ignore that the creature is clearly stronger in some scenes than in others. The show’s timing is also critical. The first time the Demogorgon encounters armed soldiers is at the beginning of the season. At that point, the audience doesn’t even know what the Demogorgon is. As a complete unknown, no one is questioning its capabilities. After that, it’s quite some time before the teenagers engage it in battle, so it’s easy to forget how earlier the monster was immune to bullets. The second round of combat between Demogorgon and soldiers happens at the very end, when the show’s dramatic climax demands the audience’s complete attention. No one can focus on the realism of firearms when Joyce is about to get her son back. The Good Place is a quirky little comedy about what happens after we die. A tiny percentage of the most morally upright people on Earth go to the Good Place where they live in utopian bliss for the rest of eternity. Everyone else, mass murderers to regular people, goes to the Bad Place where they are tortured forever. This is obviously a grossly unfair system. While it could be argued that some of history’s greatest monsters deserve torture for all eternity, no rational person would wish that fate on an office worker who didn’t give quite enough to charity. And yet, most of the people in the Bad Place are just ordinary folk. That’s an abhorrent situation, but it’s not a plot hole on its own. The issue is that the Good Place, where the show spends most of its time, is populated largely by humanitarians and civil-rights crusaders. These are people who devoted their entire lives to fighting injustice, and yet none of them seem to care that the afterlife is a worse injustice than anything on Earth. If these characters really are who they say they are, the Good Place would be choked with protests, hunger strikes, and direct action. Instead, the Good Place is a placid neighborhood where everyone lays back and enjoys themselves. That doesn’t make sense, unless there’s a mind-control agent in the water. A tempting explanation would be to simply say that The Good Place is comedy and comedy works under different rules than straight drama, but it’s more complex than that. A big part of the show’s story focuses on how unfair the system is, and so it would seem that such a glaring hole would cause problems. But for most viewers it doesn’t, and that’s because of the characters the show focuses on. The show has four main human characters. The first two are in the Good Place by accident, so it’s fine that they aren’t terribly concerned with the plight of others. Of the remaining characters, one is shown to be something of an exception in the Good Place; her good deeds were performed at least partly out of jealousy for her sister. With her selfish motivation, it’s believable that she isn’t up in arms over the fate of others. The final character is very concerned with the fate of others, but he’s also made it his mission to educate and improve the two characters who are in the Good Place by accident. He doesn’t have a lot of time for protesting. 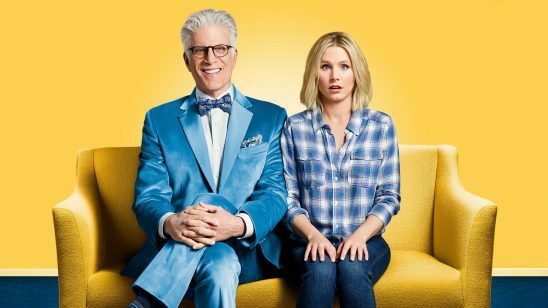 Viewers automatically take the four main characters as a microcosm for the Good Place as a whole, even though their situation is unique. Since the four main characters aren’t looking to rock the boat too much, it’s easy to assume no one else would want to either. Season 1 of The Good Place ends with a big reveal that this is actually the Bad Place. Only the four main characters are actually human; everyone else is a demon in disguise. The four protagonists have been put in the fake Good Place so they can make each other miserable. This might seem to address the original plot hole, but it doesn’t. While two of the protagonists are highly self absorbed and might not have noticed anything, the other two are actually good people with minor flaws. * They should still have noticed that everyone seems remarkably okay with their current situation. Also, as far as we know, this is an accurate copy of the real Good Place. Plot holes aren’t desirable, but we’ll never be completely free of them. Sometimes a story must meet certain requirements, consistency be damned. At other times, there isn’t enough budget to film the scene that would explain everything. When that happens, it’s valuable to understand how other stories have distracted audiences from noticing such problems in the work. I had to notice them before I put them in this article. Guns can fire in the vacuum no problem, but that’s another matter. If you haven’t seen the show, Jayne is the kind of guy who names his guns. Something The Martian makes a big deal about. The plot is waaaaaaaay deeper than that, but this is the spoiler-free version. Madoka, the protagonist, has her own power, but that’s plot specific. Season two isn’t nearly as good but that’s another story. Chidi and Tahani, if you’ve watched the show. Monsters that are immune to bullets and absolutely nothing else are a trope in and of themselves. The example I’d bring up is the live-action Guyver movies, but I’m sure someone who consumes more media than me can come up with a dozen others. You can see this everywhere, not only with monsters (lightsabers being more useful than guns, anyone?). It’s just Rule of Drama: firearms are not dramatic and/or badass enough, so people tend to swallow these tropes for the sake of cool climaxes. Saying the monster is immune to bullets, but nothing else, is pretty much cheating in most cases. There’s also the fact that, by and large, the teens are *not* able to harm the monster with their nailbat or other melee weapons. It staggers the monster a little, but the only way they actually injure it is shortly after when it’s caught in a bear trap and they set it on fire. Now granted, the bullets should stagger the demogorgon too, but downplaying the kinetic energy of non-shotgun firearms is a problem that goes far beyond monsters with weird immunity. And, of course, bullets are the one thing the army is using against these monsters when literally anything else will work. Lord of the Rings does not have an eagle problem. The Nazgul are shown patrolling the skies on the borders of Mordor and Saruman’s crows are patrolling the Misty Mountains. There is no place to hide in the sky and the whole plan rests entirely on Sauron not even knowing that they are coming. The eagles can fight Nazgul on their flying beasts, but there is no guarantee that they would win and keep Frodo from being harmed. “bUt thE EGealS” is not a valid criticism. It’s also surprisingly vulnerable to attacks by teenagers. The interesting thing would be if it’s actually this – that the demogorgon’s vulnerability depends on the nature of the attacker more than the means of attack. 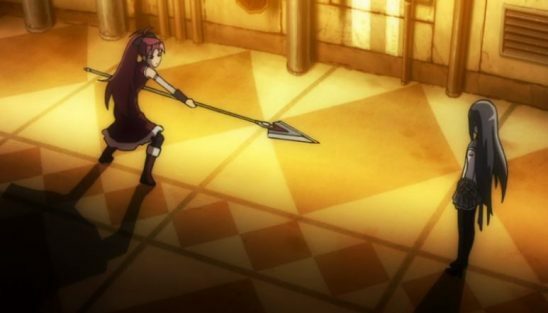 Kyoko isn’t restricted to a single spear. *Spoiler* on her final fight against Sayaka, she materializes a lot of gigantic spears, and possibly uses other magic powers. A better question would be why she doesn’t use her powers in a barrage like Mami or Homura (or even Sayaka), not why she has only one weapon. Actually, the “plot hole” of the Demogorgon being immune to bullets but capable of being injured by bats, fire, and even the bear trap are not at all out of line or possibility. To give a real world situation as a comparison, you only have to look at the use of combat armor and bullet resistant vest. In each of those real world items, people are rendered “immune” to bullets. Yes, I know that neither the armor or the vests cover the entire person but for the example, let’s assume that the person wearing them is only shot in areas that the armor covers. In that case, they are not seriously harmed by the bullets. At the same time, if they are attacked by things like nail-bats or Molotov cocktails, they could be seriously injured and in very real danger of death. That fact is the truth because firearms, nail-bats, and fire do their damage by entirely different means. A gun damages by penetrating the body and causing damage to internal organs along with blood loss. A bat or nail-bat specifically causes different injuries because the force is applied by focused impact damage while the nail-bat can inflict penetrative damage. A Molotov cocktail obviously uses both impact damage and burning damage. Armor or a vest is capable of countering the penetrative effect whether from bullets or nails but that would actually not preclude vulnerability to other damaging attacks. It could then be stated that perhaps their skin really is immune to penetration thus rendering the assault rifles useless. Bullet proof skin however would not necessarily protect them from crushing, blunt force trauma. The skin would remain intact but the internal damage could well be debilitating or even fatal as bones, blood vessels, and organs were severely bruised or even ruptured. By the same token, bullet proof does not in any way imply an immunity to flames and burning, once again damaging by an entirely different type of force. In addition to the burning, the Molotov cocktail uses focused blunt trauma from its explosion. Even the bear trap could be effective even if the “teeth” couldn’t penetrate the skin. Crushing tissue and breaking bones are quite effective at injuring and driving off such a creature. It isn’t even a stretch to figure out a completely logical reason for why one group failed and another succeeded.. It was a situation where what would usually be seen as a serious problem is the actual cause of success. As the military and adults would have the means to acquire guns and ammunition and would use them first because we almost instinctively go for the weapons that cause the most damage to ourselves. By contrast, getting access to guns, rifles, and ammunition would be very difficult to minor children. That inaccessibility worked in their favor since they had to mostly improvise weapons and they used different methods to attack and injure the Demogorgon. Very interesting! Thanks for pointing these out. The Wrath of Khan one could have been solve oh, so easily. A supervolcano bigger than Krakatoa wipes out the whole planet’s ecosystem and ruins the climate for a thousand years. That would have had the identical effects. They didn’t scan it before because they didn’t expect it to blow up that soon. I suspect the moral absolutism of “The Good Place” will be explored in later seasons. As the show is focused on exploring ethics and morality, it must necessarily occur to the writers and/or protagonists that the system of good and bad places is amoral. In fact, it already has, since the characters are complaining about the unfairness of the system almost right from the start. Anyway, I don’t consider it bug, but a feature. Actually, for The Good Place, I believe the reveal does eliminate the plot hole. You argue it doesn’t because two main characters are actual good people who would notice the injustice. The problem is that you have already given reasons for why those two people would NOT protest against the injustice before (selfish motivation and having to take care of others)! Would they or would they not? Also, claiming that this is an accurate copy of the real Good Place wouldn’t work. If it were an accurate copy, there wouldn’t be demons and the main characters wouldn’t be suffering. The demons don’t have a reason to care about others. I would actually call this fridge brilliance (from TVTropes) as it seems like a plot hole at first but is actually foreshadowing for the reveal. Also, as well-meaning as Chidi is, I believe (even with the Reveal) that Michael wasn’t lying or exaggerating when he said that the first time he really *understood* the concept of a headache was trying to read the man’s dense and torturous ethics treatise, which it must be noted, he focused on to the exclusion of actually *living* or even directly helping people. Tahani did more genuine good for the world, but is quite condescending and did it all for a very flawed reason (no matter how understandable): she couldn’t STAND that her sister got all of the credit from literally everyone including their parents. Eleanor and Florida Man are more obvious about it, but none of the four really live up to the ideals of what Michael alleges the Good Place is about at the beginning of the show.